What’s Better? 10,000 In One Megachurch Or 10,000 In 100 Small Churches? The work of the Holy Spirit in neither enhanced nor diluted by the size of the crowd. Yes, I was actually asked that question. I ignored the insult and answered it this way: I’m not saying that a church of 100 is as valuable as a church of 10,000. Or vice versa. I would never say that. 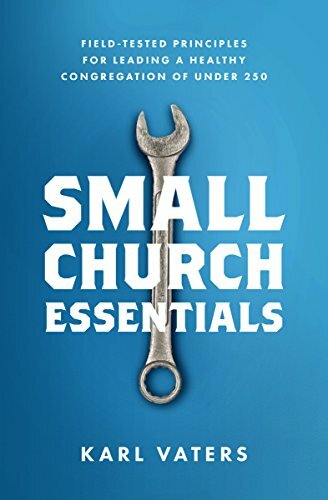 Reason #1: As I wrote in The Grasshopper Myth, comparing small churches to megachurches is like comparing peas to pumpkins, or roses to redwoods. Each has a purpose, but those purposes are too different to determine a relative value. Comparing small churches to megachurches is like comparing peas to pumpkins, or roses to redwoods. A contractor building a barn may not see any value in a rose. But a husband looking for a way to tell his wife “I’m sorry for missing our anniversary – again” is unlikely to get much help from a redwood tree. Except maybe to build himself a doghouse. Reason #2: Churches aren’t supposed to be in any kind of competition with each other. Not by size or anything else. So the foundation of the question is flawed. Instead of comparing roses to redwoods, I’d like to propose a way to compare apples to apples without participating in the “who’s better?” game. What are the benefits of 10,000 people worshiping in a megachurch led by one pastor? What are the benefits of 10,000 people worshiping in 100 small churches led by 100 pastors? Now that’s apples to apples. Actually, that’s not even a fair comparison, because in any city with a church of 10,000 there are probably 1,000 small churches with 100,000 attending. That’s reality. Small churches outnumber megachurches by 1,000 to 1. And small church members outnumber megachurch members by 10 to 1. Nevertheless, we’ll stick with the 10K baseline for now. Apples to apples.